We develop apps that are innovative, hassle free, secure with excellent UI experience – We develop apps that everyone loves. Our experienced team of developers doesn’t develop apps, they create. They create apps that explore new dimensions of user experience. Our domain expertise combined with the knowledge of our developers has helped us to develop apps that are visually stunning and highly engaging. Innovation, Reliability and Integrity are not just words – they are the traits that have made us what we are today. ANGLER with its quality Android Programming Developers concentrates on delivering performance based Android applications with data and memory management. With our team of skilled developers and their world class expertise in Android app development, we are able to provide seamless, timely, native Android App Development Services at affordable cost. 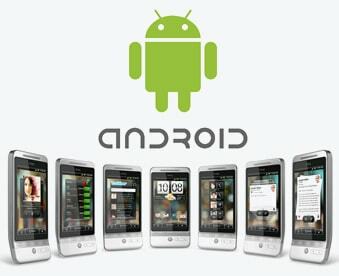 The experience we gained on the road through various challenging Android app projects for clients based in India, USA has helped us to create unique, robust Android Applications in quick turnaround time. At ANGLER, we adopt proven methodologies and explore Android app development tools to develop a whole new level of apps that stands out from the rest of the lot. Our long stay in the Android arena has given us a chance to work with diverse kind of clients from a lot more diversified verticals and this has given our Android app developers a chance to develop apps across a large number of industries and categories, thereby enhancing their domain knowledge. Our unique outsourcing model along with the technical skills and experience of our developers has helped us to pull off various complicated Android projects over the years. Contact us today to know more about our Android mobile application development services or to hire our Android app developers for your needs.